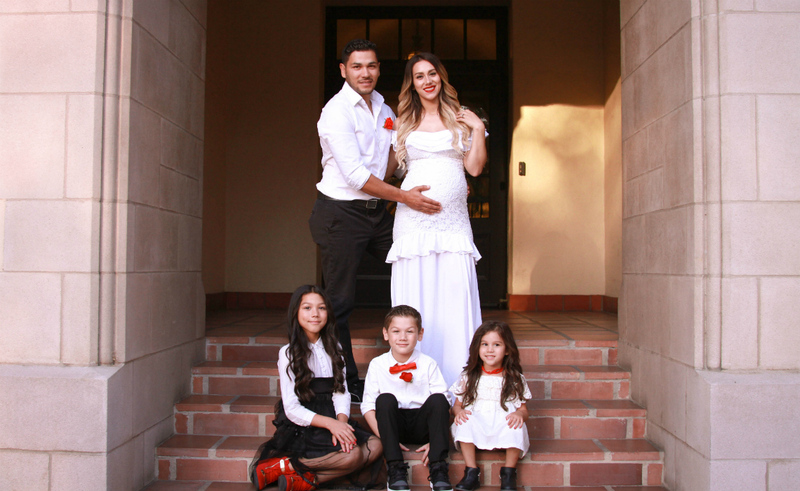 Familia Diamond joined YouTube just a touch over a year ago, and in that short amount of time, they’ve amassed more than a million subscribers — or family members, as the five (soon to be six!) Diamonds prefer to call them. Parents Esthallaa and Sdiezel run the channel, with kiddos Diezel, Solage, and their oldest, Txunamy, who amassed her own following on the recently shuttered Musical.ly and maintains a separate YouTube channel, where she has half a million subscribers of her own. The family, who is represented by Collab, uploads videos in both English and Spanish, with content ranging from day-in-the-life vlogs to no-limits shopping sprees to pranks. They’ve only uploaded 64 videos, making their channel one of the fastest-growing we’ve featured here on YouTube Millionaires. As for how they grew their channel so quickly, a peek at their viewership data shows the videos where they tackle popular pranks and challenges have been pulling in millions of views — and so have the videos where they chat about their incoming fourth baby. Already well on their way to 1.5 million subscribers, Familia Diamond is here to chat with Tubefilter about their swift rise to being crowned Millionaires. Familia Diamond: It feels amazing to have one million Familia Diamond members… because we don’t look at them as subscribers, but as family. All we can say is that we love them and will continue to make content for them to enjoy. TF: Who made the decision to launch a YouTube channel? What made you decide YouTube was the social media platform for you? FD: We all decided as a family that this was the best platform for us because both the kids and us as parents wanted to share the fun moments we have with everyone out there. TF: What are the challenges of running a channel where your kiddos are stars right alongside you? FD: As of now, we haven’t come across any challenges, and that might be because we just started our channel. Everything has been a fun ride for the entire family so far. FD: We think it might be because we make videos both in English and Spanish, staying true to our family and audience. We are also looking forward to our sixth member of the family, which we think has had a big impact on our channel, as the fans are very excited to meet the new baby. TF: What is your production schedule like, especially when the kids are in school? Do you have a team that helps you make videos? FD: We always plan ahead, and we film when the kids are not in school. We don’t have a team that helps us, as we think we can manage ourselves for now. TF: Why is it important to Familia Diamond to make videos in both Spanish and English? FD: We think it’s important because it’s part of our culture, and it’s part of our everyday life, and we want our audience to see that. TF: What’s your favorite thing about being part of the YouTube community? FD: That we get to interact with so many different people. TF: How do you decide what kinds of videos to film? Do you take into account what’s trending on YouTube, do you take suggestions from your audience…? FD: We as a family come up with ideas. Sometimes we get ideas from our audience, as they tend to leave ideas on the comment section. We are always reading their comments, and if there’s an idea that stands out, we definitely take it into consideration and make it happen. We usually think ahead of time about what content will go up on the next video, but sometimes we literally come up with the idea the very same day of shooting. On the spot!! FD: We just want to keep having fun as a family and making content that people will enjoy watching. You can add yourself to the ranks of Familia Diamond’s more-than-a-million YouTube subscribers at their channel YouTube.com/FamiliaDiamond.